Whether it's the Head Fed Ben Bernanke announcing the latest interest rates or Tea Party or Occupy Wall Street protesters denouncing it, pick up the news on any given day and you'll find the Federal Reserve Bank. Have we reached the bottom of the housing market? Has the economy really turned the corner? Join City Club as Mark Snead, Vice President and Denver Branch Executive for the Federal Reserve Bank of Kansas City, identifies the issues that matter - and those that don’t - for economic progress in both the U.S. and the region. 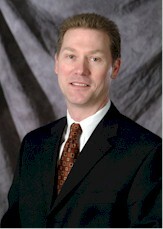 Mark C. Snead is vice president, economist, and branch executive of the Federal Reserve Bank of Kansas City – Denver Branch. Mark serves as the Bank's regional economist and lead officer in the states of Colorado, Wyoming, and northern New Mexico. Mark's research interests focus primarily on regional economic modeling and economic forecasting and he has published numerous articles and research reports on regional economic issues. Prior to joining the Federal Reserve Bank, Mark was with Oklahoma State University where he was the founding director of Oklahoma State University’s Center for Applied Economic Research. Mark is a native of Atlanta, Georgia, and holds a bachelor’s in Economics from the University of Georgia, a master’s in Economics and Finance from Georgia Tech, and a Ph.D. in Economics from Oklahoma State University. He is married with two daughters.